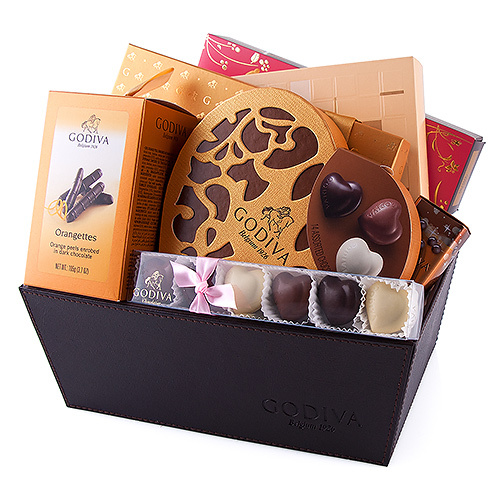 Treat your partner or the whole family with this luxurious, leather-style basket filled to the brim with romantic Godiva chocolates. 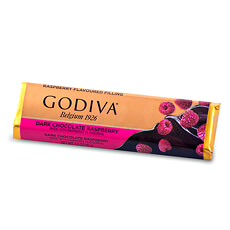 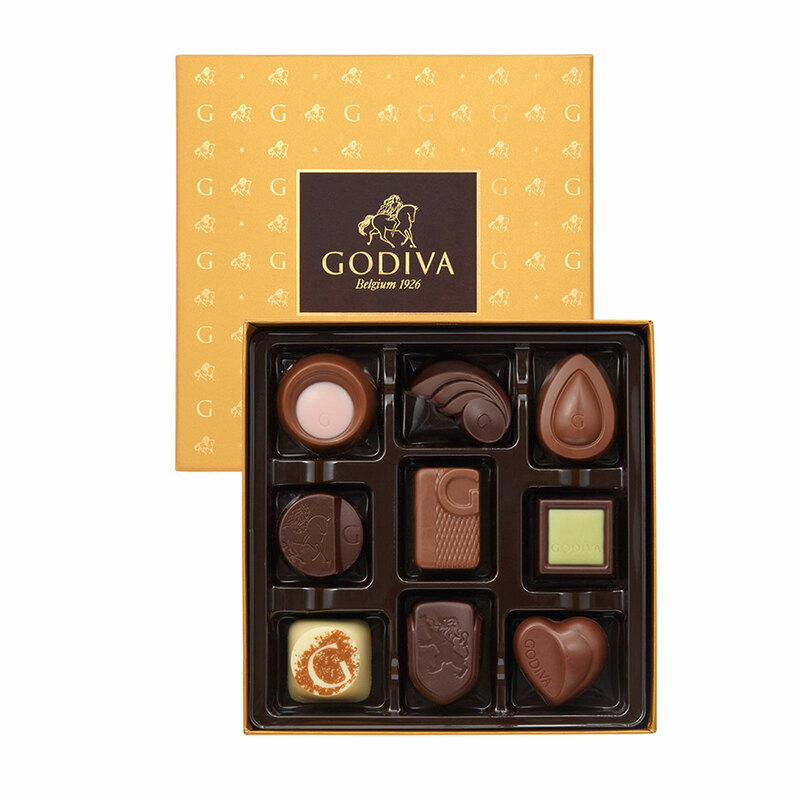 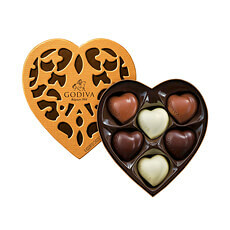 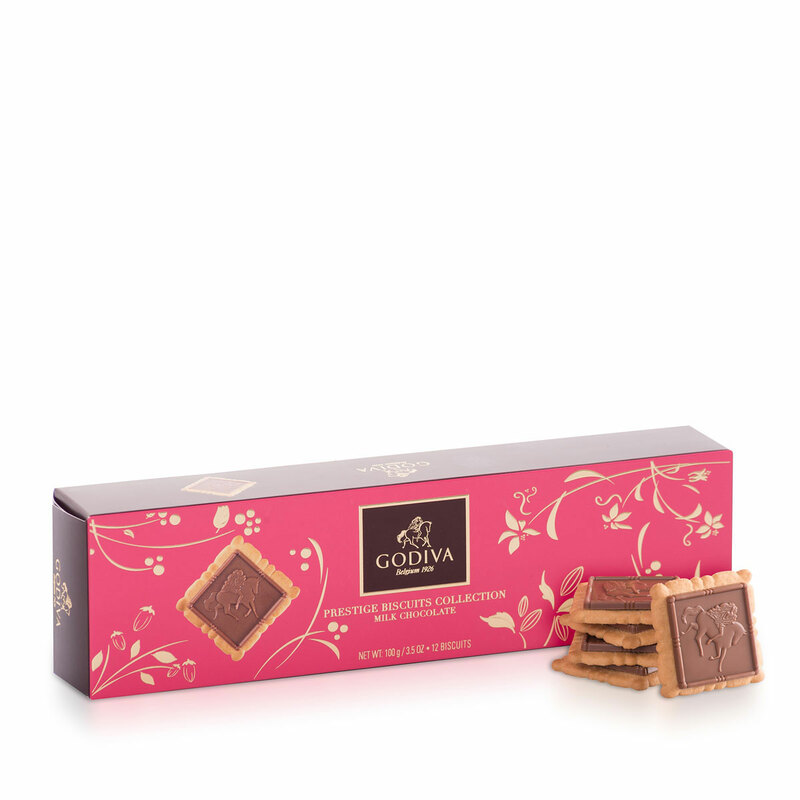 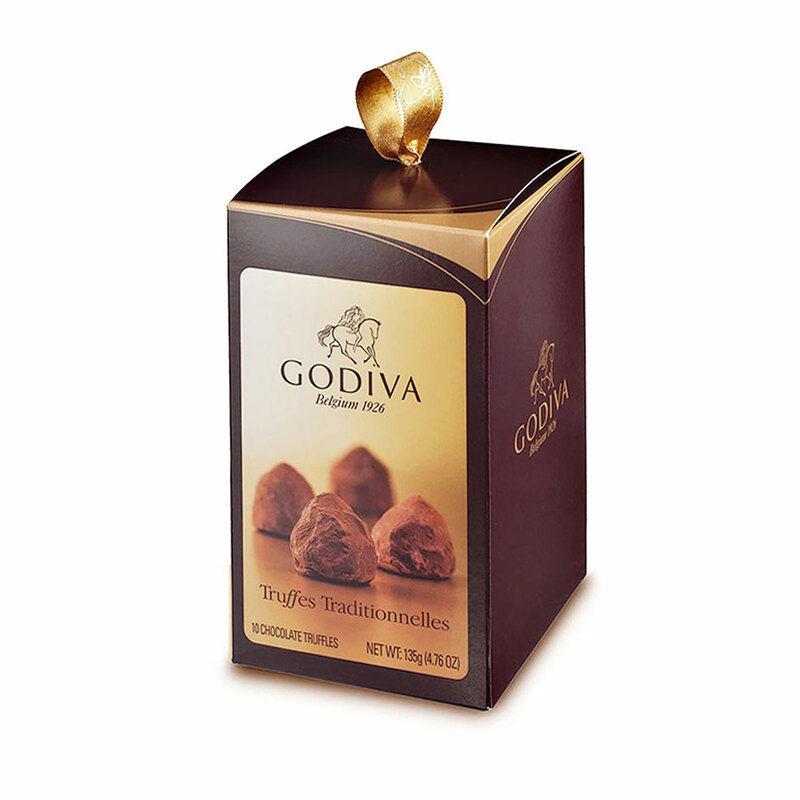 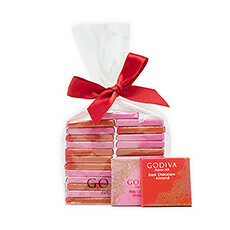 Godiva's most romantic gift basket will spoil your loved ones with chocolate hearts, soft chocolate cupcakes, and Godiva's most cherished classics. 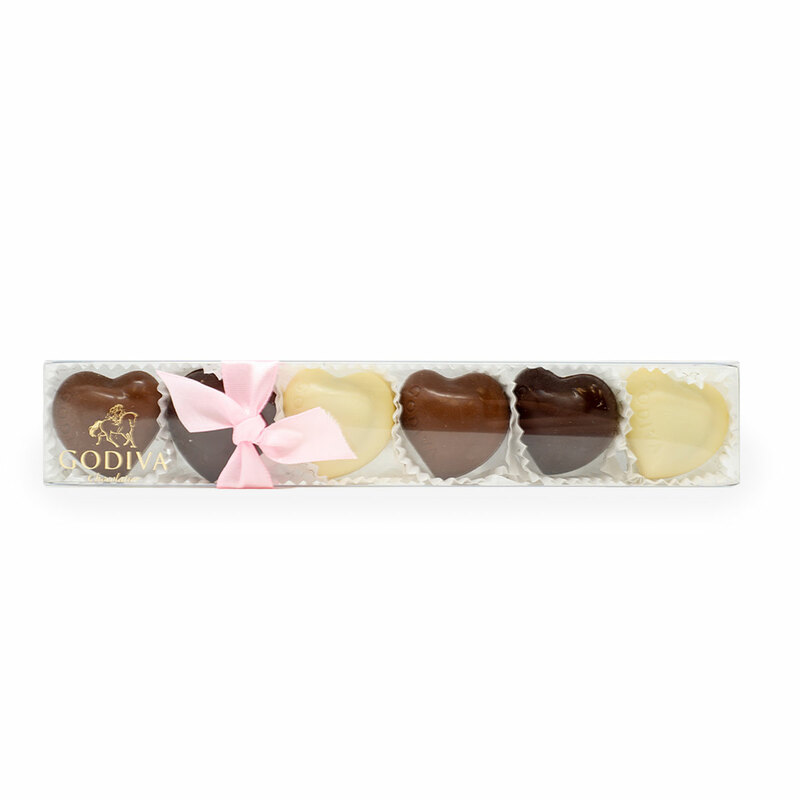 The limited-edition heart-shaped gift box offers 12 romantic Cupcakes with delicious new flavors, such as hazelnut praliné, chocolate mousse, strawberry, speculoos, and coffee caramel. 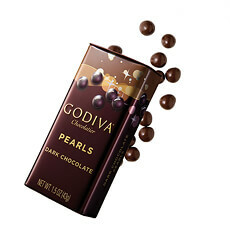 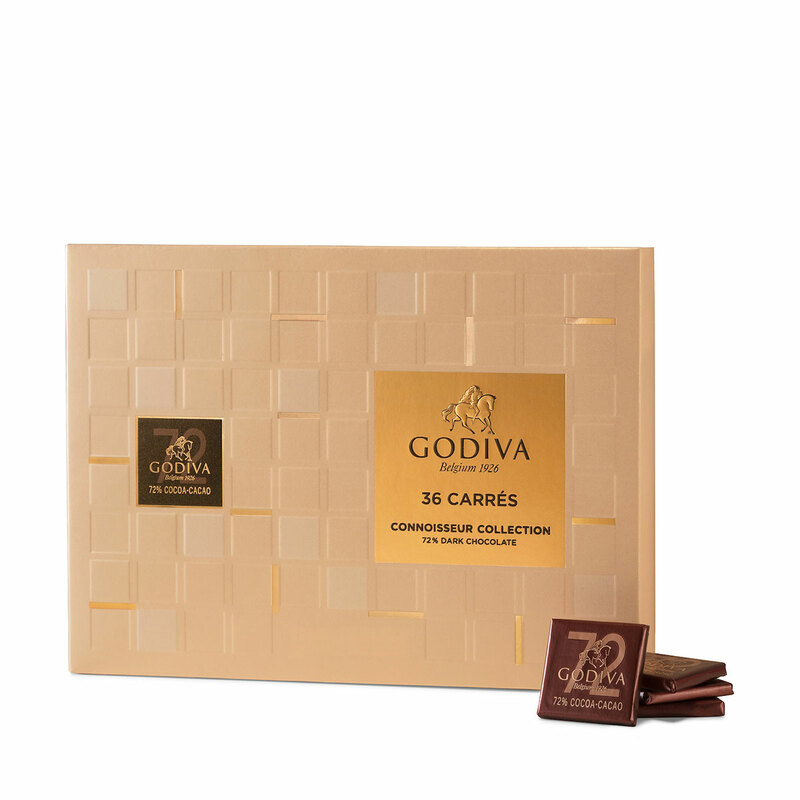 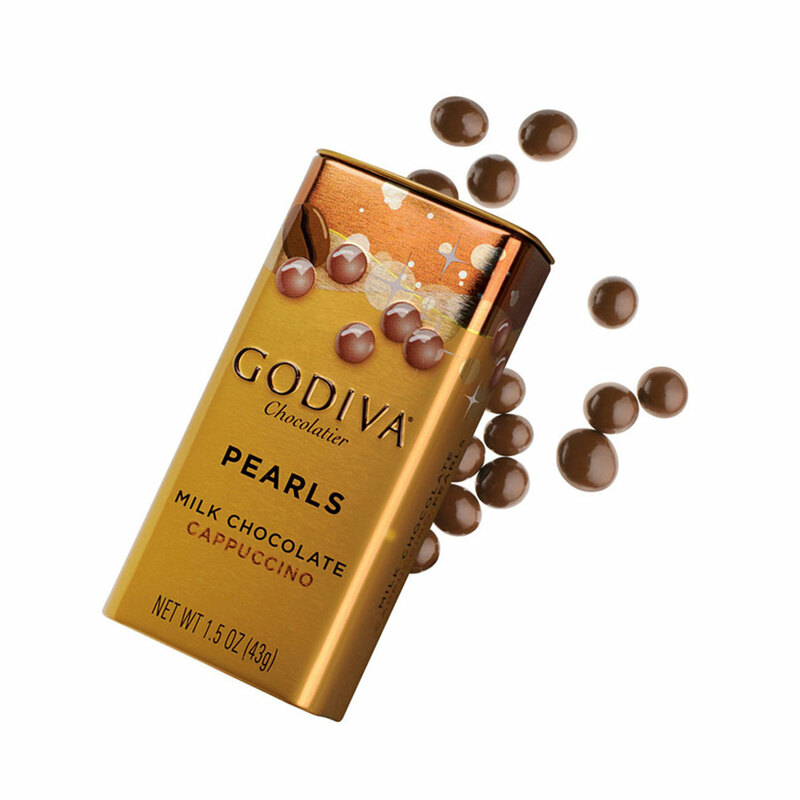 In addition, there is much more to enjoy in this gift, including dark chocolate carrés, biscuits with milk chocolate, orangettes, chocolate pearls, and much more.